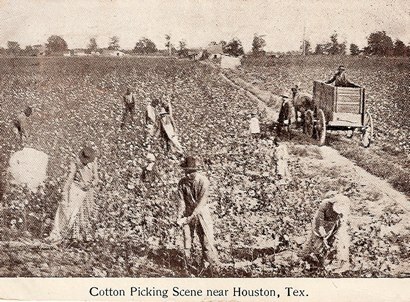 "Cotton Picking Scene near Houston, Texas"
"Cotton Gin, showing field, near Houston, Texas." 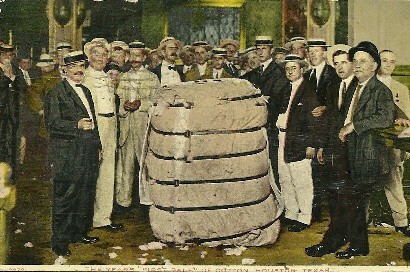 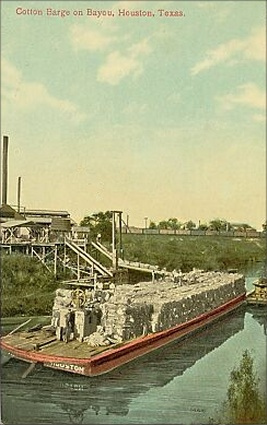 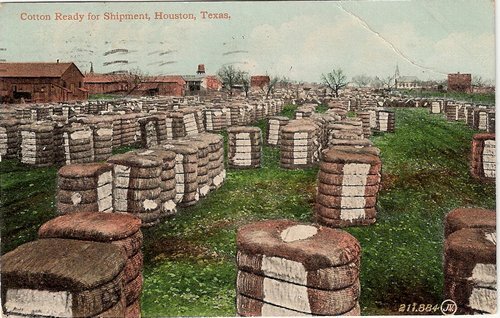 "Cotton ready for shipment, Houston, Texas." 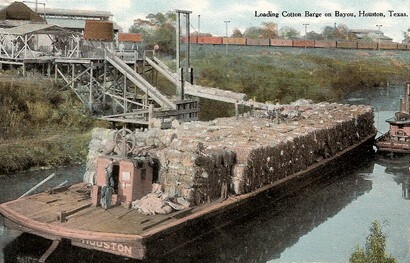 "Loading Cotton Barge on Bayou, Houston, Texas"
"Cotton on the ship channel, Houston, Texas. 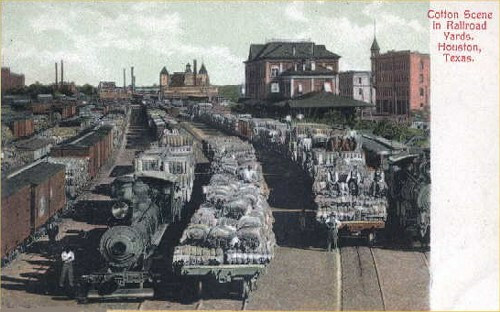 Shipments amount to nearly 400000 bales per year"
"Cotton Scene in Railroad Yards. 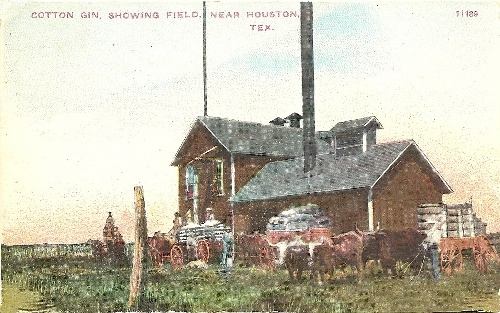 Houston, Texas." 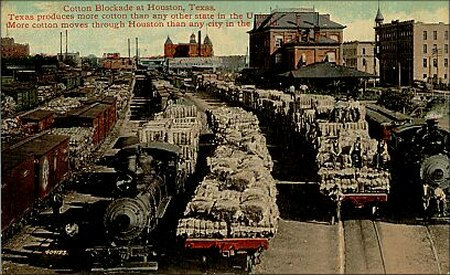 "Cotton Blockade at Houston, Texas. 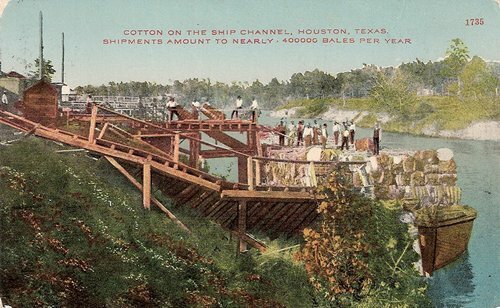 Texas produces more cotton than any other state in the Union. 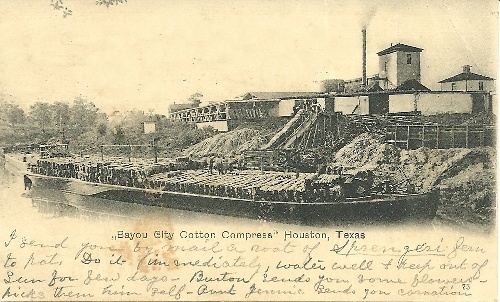 More cotton moves through Houston than any city in the world." 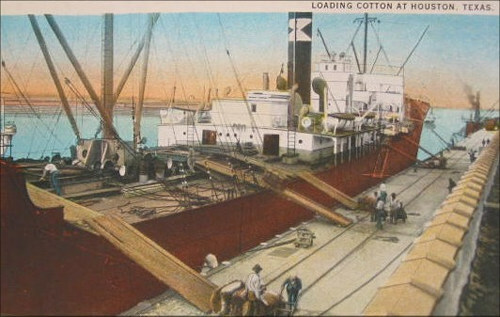 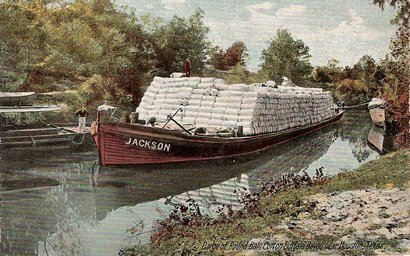 "Cotton Barge on Bayou, Houston, Texas." 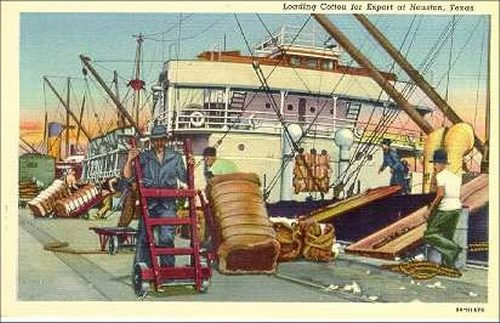 "Loading cotton for export at Houston, Texas"
"Loading Cotton at Houston, Texas"
Texas Escapes, in its purpose to preserve historic, endangered and vanishing Texas, asks that anyone wishing to share Houston vintage/historic photos, please contact us.